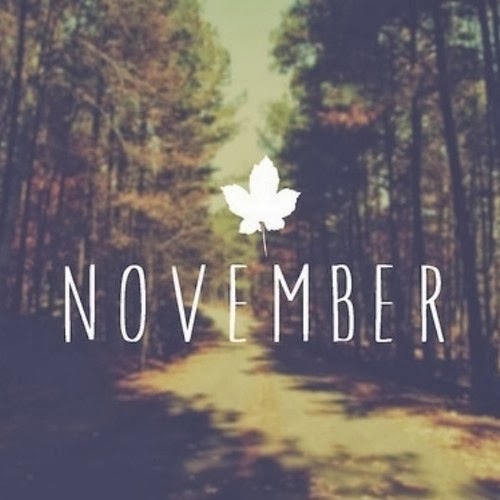 I really enjoy November, because it's a great time of year. I love that it might snow, the leaves are still turning lovely shades of yellow, red, and orange, and I get to change my wardrobe to all of my warm comfortable clothes. Right now its kind of grey and really windy today, but hey it's November and I can't expect any less. I also love November because it's the month before Christmas. I'm not a huge fan of all of the Christmas shopping, but because I do love the cute little decorations that you can get at this time of year. I work in retail and two weeks ago we started putting out the beginning of the Christmas stuff. I'm keeping my eye out for a really nice door wreath. I also bought this really lovely reindeer head painted white and it has a lovely dish at the base of it's neck so you can plop your candies or jewelry in it. This month I am also gearing up for Christmas time in my shop. I'm going to be working on some more new pieces to add for November, and I hope that everyone is wise this year and they shop early. Last year I had a lot of last minute shoppers who wanted to know if their item could arrive in a day or two. Please shop early if you plan to shop online.